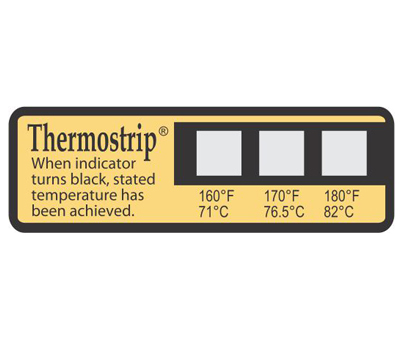 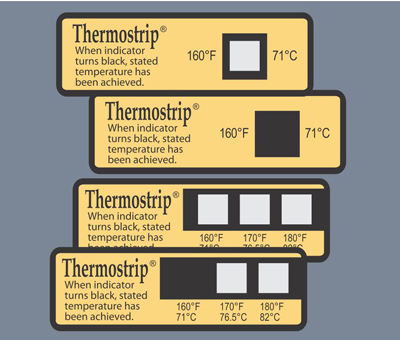 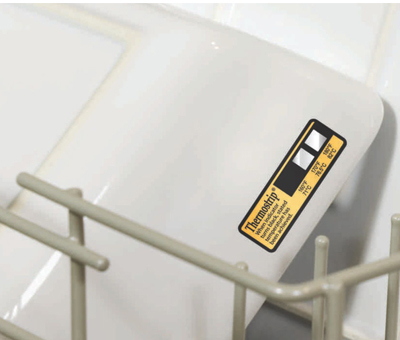 Thermostrip® Indicators ensure dishwasher sterilisation temperatures have been achieved. 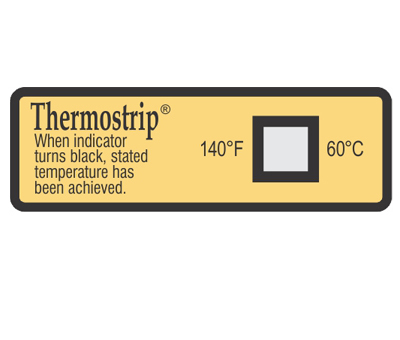 They have been developed to withstand the extreme conditions of an industrial dishwasher to form part of HACCP procedures for evidence of due diligence giving permanent record of temperature sterilisation temperatures being achieved. 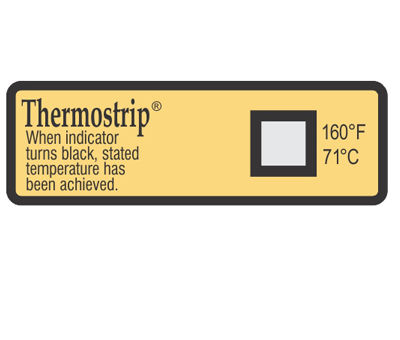 Using Thermostrip® on a dish surface with each wash cycle will provide a record that the correct sterilisation temperature has been reached. 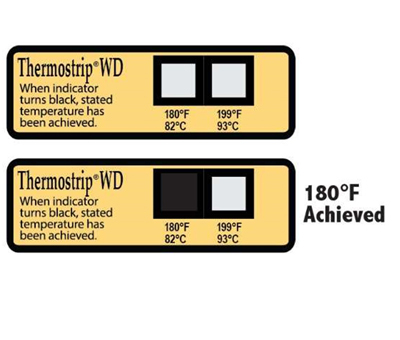 Thermostrip® WD aids the achievement of Best Practice compliance, recording the critical temperature achieved durin􀀂 the required disinfection holding time when cleaning reusable medical devices and articles used in medical, dental, pharmaceutical and veterinary practice.